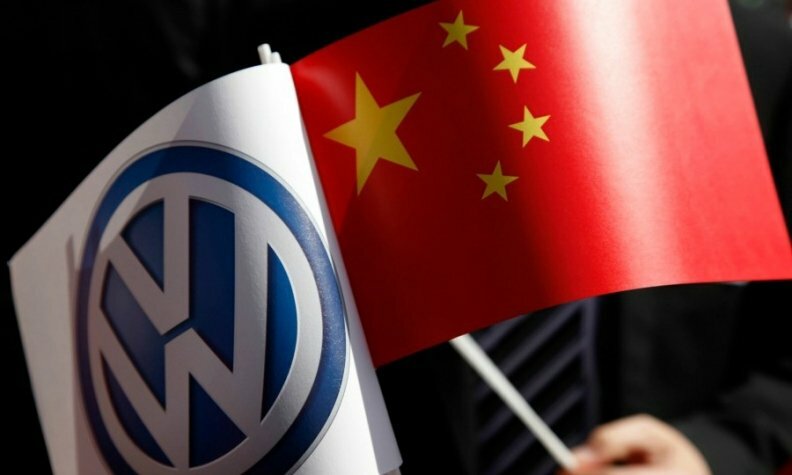 GUANGZHOU, China -- Volkswagen Group aims to boost so-called "new energy vehicle" sales in China to 400,000 units a year by 2020, the automaker's China chief, Jochem Heizmann, said as Beijing pushes automakers to offer low-emissions cars via incentives and friendly regulations. The automaker wants to eventually sell 1.5 million NEVs annually by 2025, Heizmann told reporters ahead of the Guangzhou auto show, which opens on Friday. "We have to do more in the NEV area. The government is pushing, the general environment in China is pushing that," Heizmann said. In China, NEVs include battery-electric and plug-in hybrid cars. Overall NEV sales in China more than quadrupled last year with rapid growth continuing in 2016. VW will deliver its first locally produced NEVs this year under its Audi premium brand, which will manufacture the cars as part of its joint venture with China's FAW Group. VW Group also has a joint venture with SAIC Motor. The partners plan to sell plug-in hybrid cars in China in the future. Global auto brands are only allowed to manufacture cars domestically in China through ventures with local partners, with automakers typically limited to two JV partners. VW said in September that it had signed a preliminary deal to explore making electric vehicles in a new joint venture with China's Anhui Jianghuai Automobile (JAC Motor). The deal is not final and is subject to approvals. "We are making good progress in our feasibility study with JAC," Heizmann said. He said he was hopeful the government would allow what would be VW Group's third JV in China, with the government pushing for the production of vehicles that pollute less. "Normally the legal framework is you are only allowed to have two joint ventures. There is a special chance to have this additional joint venture just on pure battery cars," Heizmann said.